Team "Team Kappeler SimRacing" changes its name to "Team Kappeler SimRacing I". Living my life a track lap at a time, nothing else matters... for those two minuts or less... I'm free! 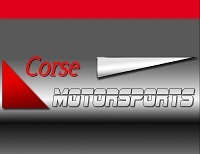 To visit the renewed Corse Motorsports website, click here: Corse Motorsports website.